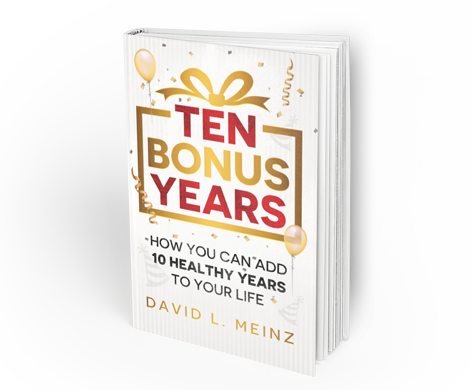 By David Meinz, MS, RD, FADA, CSP Whether you are an employee or an employer, your personal health can have a real impact on the economic health of your organization. According to the Metropolitan Life Insurance Company, one million U.S. workers call in sick every day! Researchers recently reported in a study of over 8000 company employees that those who were not physically fit had an absenteeism rate two and a half times higher than those who were. Another study released by the U.S. Chamber of Commerce also found that physically fit individuals are less likely to be absent. General Electric discovered that their employees who exercised were absent from work 45% fewer days than non-exercisers. Studies at DuPont, the Dallas Police Department, and General Mills, have also found the same thing. Research done on a group of 1200 insurance company employees in Toronto found that those who had the highest participation rates in exercise and health education programs had a 22% decrease in absenteeism over the control group. The company calculated that this was worth two and a half days per year per employee, which came to a yearly salary savings of $175,000 for the company of 1200 people. That's an impressive bottom line impact. And remember, too, that as we talk about improving personal performance, you can't do much better in improving that performance than by decreasing absenteeism. Regardless of the subtle improvements you might experience from other techniques, those benefits won't mean much if you don't even show up for work. Here's some more interesting findings regarding the benefits of staying well. A study done by Purdue University found that those who began exercising substantially increased their ability to make complex decisions. Union Pacific Railroad found that the vast majority of their employees reported that exercise helped their concentration and made them more productive. Companies are also now finding that they have less turnover among their employees who are regular fitness participants.Tenaco discovered that those who exercise regularly were 13% less likely to leave the company and Canadian Life found exercisers 32% less likely to leave. If an organization doesn't have to retrain new people to do the same job, that's one more small step in improving their corporate efficiency. From some of the data coming out now it appears that a good way to improve corporate productivity is the same way to improve individual efficiency and performance: by optimizing personal health. It looks like company CEO's are starting to apply this viewpoint in their personal lives as well as in their corporate strategy. Upper-level executives often have a much higher rate of exercise than their middle-level managers. It's interesting to note that one study showed that the average high-paid executive is 75% more likely to be at ideal weight than is their lower-paid counterpart. Obesity can have a subtle but very real impact on individual and corporate performance. To begin with, it's been observed that obese employees have a higher absenteeism rate. On top of that, the person that is overweight significantly increases his or her chance of low back problems, and these same back problems account for a very large portion of lost work days. In fact, back pain and back aches result in over 93 million lost work days in this country every year! A study by Control Data found that obese employees are 50% more likely to file health claims over $5000 in a given year than those who are at their recommended weight. And all of this doesn't even mention the increased risk of heart attack, stroke, diabetes, and cancer in those who are overweight. In fact, Xerox estimates it costs their company one and a half million dollars to replace a top executive who dies from heart disease at an early age! One of the most efficient ways you can increase your personal performance and efficiency is to take off that excess body fat you may be carrying around. The bottom line: good health is good business!